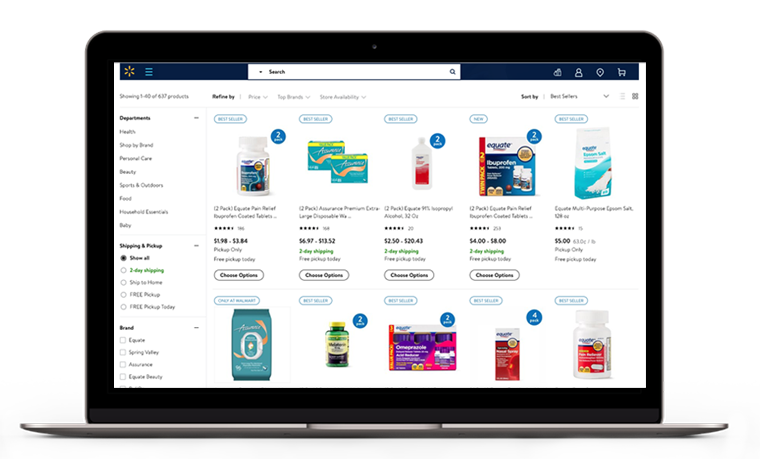 Thanks to your health plan provider you can save on a variety of over-the-counter (OTC) drugs and health related items! With Healthy Benefits Plus you can save on a variety of over-the-counter products and health related items! Plus using your benefit is simple. You get to select what works best for you and save instantly. It's that easy! Healthy Benefits Plus makes shopping with your OTC benefit a breeze! Easily find your account balance listed at the top of the Offers page or in the My Account tab. 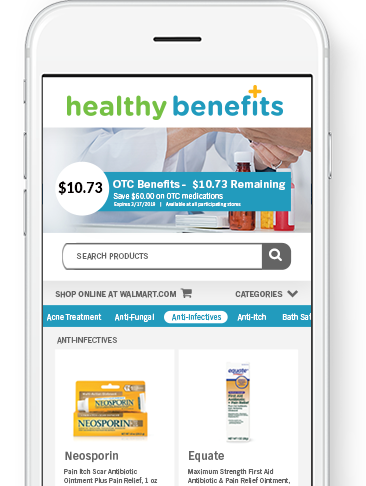 With Healthy Benefits Plus, you can browse a list of preferred products and order them online at www.Walmart.com. Simply type your card number at checkout and choose your delivery method. You can ship to your home address or pickup in-store! 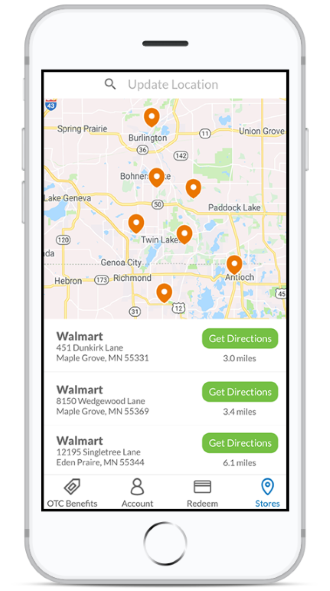 With Healthy Benefits Plus, members can shop in stores to buy their discounted OTC products with the simple scan of a card or mobile app barcode at checkout. The savings are instant!